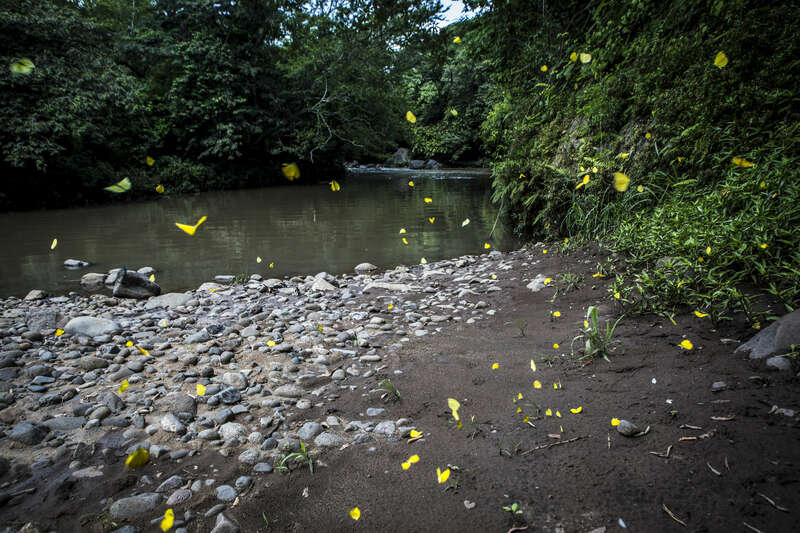 San Lorenzo, El Salvador- Butterflies fly by the Rio Pampe, one of the most heavily effected areas during the Ingenio La Magdalena molasses spill in San Lorenzo, El Salvador on Monday, June 25, 2018. In May 2016, nine thousand gallons of molasses spilled into the San Lorenzo and adjoining rivers killing life in and around the river for 80km and contaminating the water supply for thousands of people. After two lawsuits and millions of dollars in fines, Ingenio La Magdalena has effectively cleaned up the disaster but the damage has taken its toll on the wildlife, esp fish, that the local communities depend so heavily on. Many residents affected by the spill have yet to be compensated for damages to their livelihoods.